To say this week has been busy is an understatement. 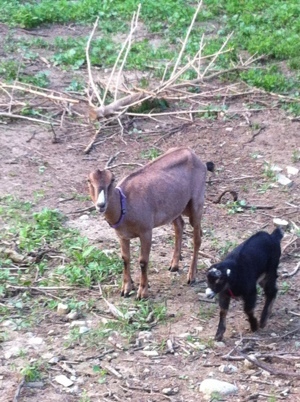 I haven’t even had time to write about our newest goat herd additions. Last Sunday afternoon, I drove to New Hampshire to meet Cliff Parker of Longvu Lamanchas. I specifically went to buy Tangueray Texter, a first freshened in milk. She come from a very good pedigree and will help improve our herd. 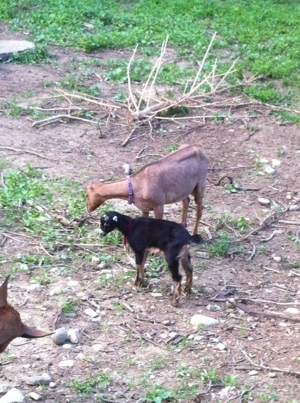 With her coloring, she should make nice babies with Apache, our lamancha buck. While I was there, I looked at the kids they had, and decided to buy Pocohontas. I love her coloring and she is super friendly. The kids love to play with her.